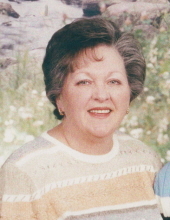 Joan Miniard Williams, age 66, of Wooton, KY passed away on March 29, 2019 at the Hazard Medical Center. Joan was a retired Nurse for the Hazard Medical Center, a member of the Kentucky Nursing Association and a member of Polls Creek Church of Christ. She was born on March 11, 1953 to the late Mack Miniard and the late Emma Ivey Miniard. To send flowers or a remembrance gift to the family of Joan Williams, please visit our Tribute Store. "Email Address" would like to share the life celebration of Joan Williams. Click on the "link" to go to share a favorite memory or leave a condolence message for the family.